What the hell is a gigowatt? 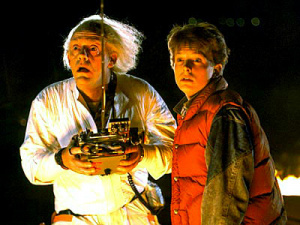 Telltale's Back to the Future game has the likenesses of Michael J. Fox and Christopher Lloyd, but only the latter was able to lend his voice to the game too. The second behind-the-scenes documentary from Telltale explains how the company came to recast the role of Marty McFly. Well, sort of: it introduces you to the voice actor AJ LoCascio, but it's never really explained how he got the part, but once you hear his audition you'll realise there's no need for explanation. That...I have great faith in this project now. His voice is exactly spot on, can't wait to try this game out. Whoa, that guy does a perfect impression. I wouldn't be able to tell it wasn't Michael J. Fox either! Telltale has always been great for their voice casting. This is gonna be good. Man I'm really excited for the debut trailer. Oh yeah, this game is even better now. It's amazing how much love telltale puts into their games, and I'm surprised at the fantastic new Marty voice. AJ's gonna go far, I tell ya. Wow that is pretty nice. They say Fox wasn't available, but I wonder if that is a polite way of saying not physically able? Parkinson's isn't exactly kind on verbal speech. Kudos to AJ on getting such a big, first gig. When I thought about voice actors to play Marty, James Arnold Taylor (voice of Rachet on Rachet & Clank and Obi-Wan Kenobi on Clone Wars), does a great impression, but I think AJ hits it a bit more spot-on. Well, he's sure got David Kaufman (voice of Marty in the Back to the Future animated series) beat! Very nice indeed! I wouldn't expect anything less from Telltale, those guys are just too awesome for words. Hey, that's a pretty good Marty McFly. But the real test will come for him during basic conversation. Exasperations are somewhat easier, but if he can pull it off like Marty was talking to George McFly in the first one at the high school, I'll be truly impressed. So far, though, it's a great job! Amazing, he was spot on! Nice. Not sure about the game though. That's impressive. Really spot on. Shame they couldn't get the real deal, but they did get the next best thing. Well done Telltale. Haha, pretty cool guy and obviously a very good impersonation. Haha I was watching these movies like couple weekends ago, I didn't even know they were making a game till mid last week. Aj is very cool. He nailed Marty voice very well but he can't replace Michael J. Fox for me. What the hell is a jiggawatt! Great Scott! This guy has it down perfectly. Even the cracking of the voice is perfect! My god, he is good. Tell Tale is just amazing on what they do! I can't wait to grab this! That's pretty good. I can hear the difference but it is soooo small its not even worth finding. He seems to really have the voice cracking down when MJ Fox screams or exclaims something. I hate how they are being so tight-lipped about this game though. How are we supposed to by hyped about it let alone let lots of people know if we dont have any major screen shots? Its supposed to come out sometime in November or December too? Great Scott is that heavy! They're gonna run outta time if they can't get a finished project. Funny to think usually the older guy would've been unable to lend his voice (ala Christopher Lloyd) by something so trivial such as death, but its a shame Parkinson's has a hold of MJF 30 years later. Yeah I know, CL was made a lot older in the movie than what he actually was. 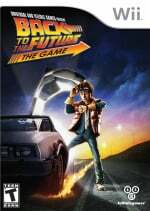 Great Scott, this sounds like a fantastic game, better not screw it up as the NES BTTF games were crap i thought. I just watched the trilogy today on G4, and wow, does he NAIL the voice. Sounds like a sample straight from the film! Wow... right down to the breaking of the voice... THAT is a grand impersonation. I can put my fears to rest about the Marty voice now. Now for some gameplay footage-- the final piece of the puzzle before I can get 100% hyped. If my calculations are correct, when this baby hits 88 miles per hour, you’re gonna see some serious sh*t.
I can tell the difference, & I feel that given time, I could have also, even if I didn't know that wasn't the real Michael J Fox. Still, excellent job for him! In any given event, I just hope the game's really good, & yet still sells for 1000 Wii pts. That would be fair, I think. Like Sonic 4, It depends on how many eps, & the size of each one individually. The initial platforms have been announced. No wiiware or wii, though there's a reasonable chance it will end up on Wii disc after the season wraps up. To be fair, the Wiiware service is too restrictive for a game of this size (voice acting files and music alone must be huge, not to mention the models and textures) so I'm pretty happy they're bypassing it. Yeah regardless of how good the voice acting is, my suspicions are really getting to me that this game will be RUSHED like hell just to make time for the holiday season. Meaning when we get the final product its probably going to be buggy as hell and we will wish for a better game and that they had taken more time with it. That's generally what happens anyway. Telltale are very used to tight production schedules, while there can be a few bugs, that's true of any game regardless of the turnaround time.